Steeping of barley is very important in the germination process. If the endosperm tissue is not properly hydrated it won’t modify well. Various parts of the grain uptake moisure at different rates. The barley grain is made up of endosperm, germ, root and shoot, husk and aleurone layer – basically. Modification is when when the grain changes from non germinated to germinated, when the enzymes are modified and, starch is converted into fermentable sugars. Virtually all of the fermentable extract – the sugars, are derived from the conversion of the starchy endosperm. The term “friability” relates to the mealiness of malt – this directly relates to how it will mill. Different distilleries have different grist – while they may have similar proportions – 70% husk, 20% kernel and 10% flour at Bowmore and Ardbeg – the Ardbeg grist is much coarser than Bowmore. 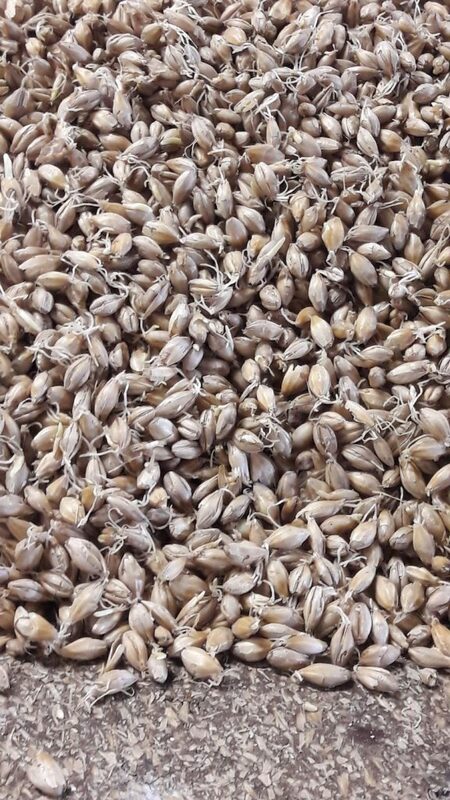 One way of evaluating a good malting barley is to record the predicted PSY (pure/possible spirit yield) quantity of pure alcohol achieved per tonne weight of grain. A typical minimum specification for malted barley at Laphroaig and other places is in the region of 408 Litres to the tonne. In the past due to various factors the yield could have been around 330 L to the tonne. It is not enough to just extract a high alcohol content from one’s barely – it must also have a good flavour profile. Bere barley is particularly flavoursome, but due to various factors may not have such a high alcohol yield per tonne as other barley varieties.